Orchard Hill Rehabilitation & Healthcare Center, a Marquis Health Services member located in Towson, has launched a chronic kidney disease (CKD) management program, naming board-certified nephrologist Dr. Kamal Sewaralthahab, MD, NEP, FASN as its director. As a central component of the new program, Orchard Hill is partnering with the National Kidney Foundation Serving Maryland and Delaware (NKFMDDE) to host monthly support group meetings for those living with CKD, their families and caregivers. Orchard Hill’s CKD support group meetings will be held on the third Thursday of the month. Free and open to the public, they will take place at the skilled nursing facility, 111 West Rd., Towson Md. 21204. NKFMDDE will bring in speakers to address a range of key concerns. Each meeting will include a dietitian providing nutrition information. Participants will then have a general discussion, getting tips and advice from one another on managing CKD. For a schedule or to register, visit NKFMDDE’s Facebook page. Thank you Orchard Hill for your support and dedication to OUR community! Patients were followed for three months to see if screening was completed; patients with abnormal results from the home test were contacted by the study physicians. Overall, the intervention increased proteinuria screening completion by (28.9% vs. 18.0%; p<0.001). There was no difference in the proportion of the detected albuminuria cases between the intervention and control groups. “The home testing was very well-received and easy to do for patients,” Dr. Chang said. “Important limitations of this study were that we required patients to consent by telephone before sending testing kits. Also, few patients who had abnormal urinalysis findings went to the clinic lab for their confirmation testing in the three-month follow-up period. Future research should evaluate optimal screening and confirmation testing strategies-all completed at the comfort of home.” NKF provided the funding for the trial and the Geisinger Institutional Review Board approved the research study. Kidney Disease FactsIn the United States 30 million adults are estimated to have chronic kidney disease—and most aren’t aware of it. 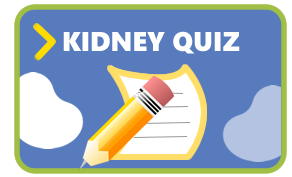 1 in 3 American adults are at risk for chronic kidney disease. Risk factors for kidney disease include diabetes, high blood pressure, heart disease, obesity and family history. People of African American, Hispanic, Native American, Asian or Pacific Islander descent are at increased risk for developing the disease. African Americans are 3 times more likely than Whites, and Hispanics are nearly 1.5 times more likely than non-Hispanics to develop end stage renal disease (kidney failure). About GeisingerOne of the nation’s most innovative health services organizations, Geisinger serves more than 1.5 million patients in Pennsylvania and New Jersey. The system includes 13 hospital campuses, a nearly 600,000-member health plan, two research centers and the Geisinger Commonwealth School of Medicine. Geisinger is known for its focus on caring and innovative programs including the ProvenCare® best-practice approach to maximize quality, safety and value; ProvenHealth Navigator® advanced medical home; Springboard Health® population health program to improve the health of an entire community; ProvenExperience™ to provide refunds to patients unhappy with their care experience; and Geisinger’s MyCode® Community Health Initiative, the largest healthcare system-based precision health project in the world. With more than 215,000 volunteer participants enrolled, MyCode is conducting extensive research and returning medically actionable results to participants. A physician-led organization, with approximately 32,000 employees and more than 1,800 employed physicians, Geisinger leverages an estimated $12.7 billion positive annual impact on the Pennsylvania and New Jersey economies. Repeatedly recognized nationally for integration, quality and service, Geisinger has a long-standing commitment to patient care, medical education, research and community service. For more information, visit www.geisinger.org, or connect with us on Facebook, Instagram, LinkedIn and Twitter. About Healthy.ioHealthy.io is transforming prevention for kidney disease for the millions of patients who fall through the cracks of the existing, centralized system. Having created a new category of smartphone urinalysis that can replace the centralized lab device, the company offers a full service that addresses the staggering cost and burden of CKD. With an ‘adherence as a service’ offering, patients get a test kit sent home and results are automatically transmitted to their medical record for physician review. Patients can test themselves at their own convenience, detect the disease early and get the care they need. 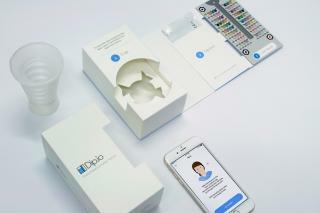 In Israel and Europe, Healthy.io’s digital urinalysis pathways are already a reality for over 100,000 patients. The National Kidney Foundation (NKF) is the largest, most comprehensive, and longstanding patient-centric organization dedicated to the awareness, prevention, and treatment of kidney disease in the U.S. For more information about NKF, visit www.kidney.org. With over 300 guests anticipated, this premier food and beverage event will feature delicious creations from 20 of Baltimore’s best restaurants, caterers and chefs, paired with enticing drinks. Adding to the fun will be celebrity judges, the People’s Choice competition, entertainment, raffles and a silent auction. Admission to this business causal evening is $100/person or $2,500 for a table. For more information to become a sponsor or to purchase tickets click here! Our Journey …. Our Fight! My name is Katelyn and I am the mother of a beautiful baby girl, Natalee. I found out that Natalee was missing her right kidney when I went for a gender ultrasound. My doctor ended up sending me to Annapolis to ensure that everything would be okay with Natalee. I am sure you can understand my concern and fears! As her mother I wanted my baby to be perfect! 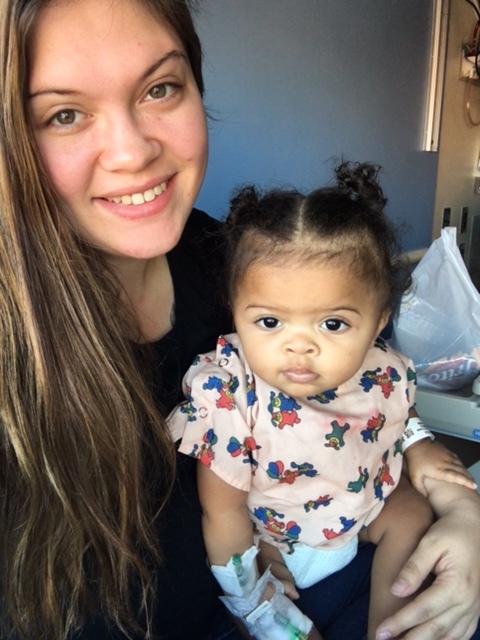 February 1, 2016 Natalee made her arrival and 24 hours later they did a test called a VCUG; the test results came back, and she had a grade 5 reflux (hydronephrosis). Big words for such a little girl. Natalee’s doctors have had her on antibiotics as a preventive measure since day one. The beginning of April came, and Natalee was burning up (she felt like she was sunburned.) We immediately went to Peninsula Regional Medical Center (PRMC) where they discovered that she had a very bad UTI. Natalee was placed on antibiotics to treat the infection and medicine for her fever, it still wouldn’t break so we were flown to Johns Hopkins Hospital. When we arrived, we also found out that Natalee had a kidney infection which eventually the infection got into her blood stream causing her to have sepsis. We almost lost Natalee by the skin on our teeth. I didn’t lose hope and Natalee didn’t stop fighting! She had a few blood transfusions as well as a transfusion for platelets. After about four weeks we were able to come home. Natalee ended up having high potassium because of the infection; she was hospitalized and transferred to Johns Hopkins Hospital a few more times after the last incident due to high potassium. She is on a special formula that you can only order online called Similac 60/40. In July we went to our hospital (PRMC) and was transferred to Johns Hopkins once again for a UTI. While at Johns Hopkins they did an ultrasound on her kidney to check on it; they saw a lot of debris which required surgery to have a Nephrostomy tube placed in her kidney to drain into her diaper, this is also how she uses the bathroom to urinate. The nephrostomy tube was only temporary till November. Natalee has pulled her nephrostomy tube out several times leaving us multiple trips to Johns Hopkins for more surgeries just to have the tube placed back in. November 21, 2016 came, and Natalee was finally big enough to have her ureter reconstructed. 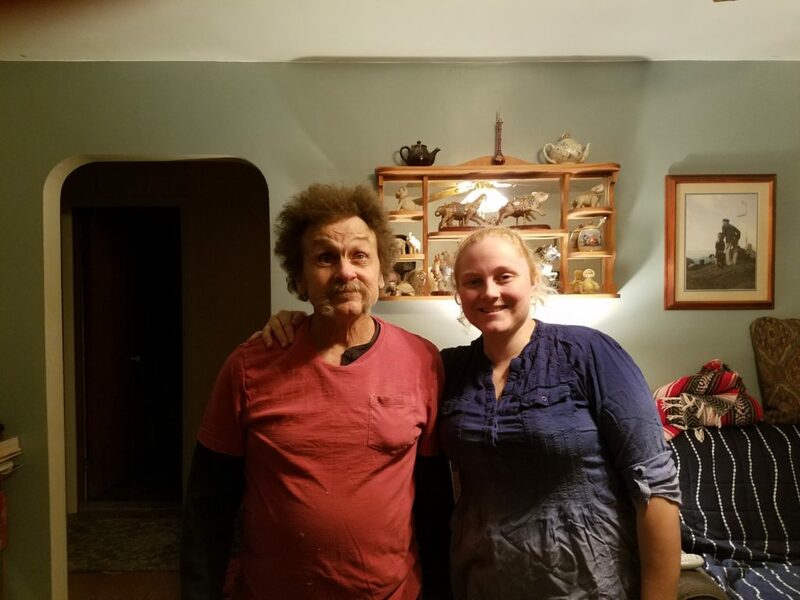 The purpose of the reconstruction was to fix the reflux of her kidney, so she can use the bathroom regularly and not get urinary tract infections as well as kidney infections. Since February 16, 2017 we have not had one hospital visit/stay since her surgery. This first year of Natalee’s life was not easy by any means! In the beginning of March 2017 Natalee had another VCUG done to see if her surgery was a success. Unfortunately, after her VCUG was done, her surgery was not successful. Up until April of 2018, we had a lot of hospital visits and stays due to urinary tract infections. On April 10, 2018 she had the same procedure done with a different surgeon. Finally, on July 18, 2018 we went for a visit to see if this surgery worked and it did! Natalee no longer has kidney reflux! What a relief! We followed up with the urologist and we no longer have to go and see them unless Natalee has any further complications. We can now enjoy living a normal two-year-old life outside of the hospital. We do get ultrasounds done to her kidneys every three months to make sure there is no swelling. 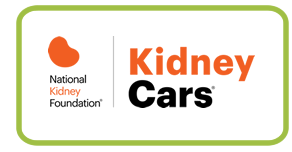 I am grateful to the support of the National Kidney Foundation! For more information about the resources and support they offer visit www.kidneymd.org. Won’t you please help families like mine and make an IMPACT today? YOU can be a beacon of LIGHT & HOPE for those who suffer with kidney disease. Your donation will make a difference in our community. DONATE TODAY – there are only a few hours left to make your meaningful year-end gift and accelerate the pace of our work locally in 2019! Will you join me? 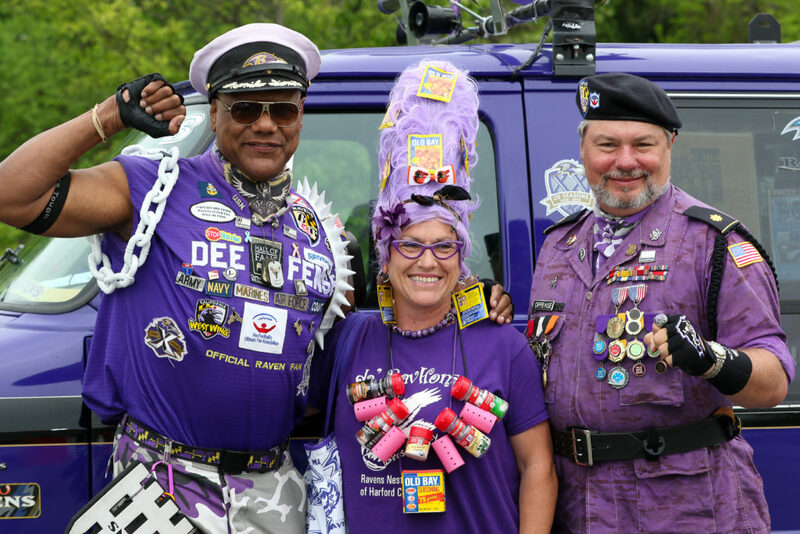 PHOTO: Captain Dee-Fense (left), a Baltimore HON (center) and Major Offense (right). My Life …. My Story! I was diagnosed with Stage 3 chronic kidney disease (CKD) on January 21, 2009 after getting some routine Lab work completed. The doctors discovered that my Serum Creatinine levels just weren’t right. I had some type of kidney problems when I was very young, but I didn’t’ know exactly what the issues were. The thing I really noticed was the Gout attacks were happening more frequently due to elevated uric acid level. The doctor told me he thought I had some degree of hypertensive nephrosclerosis also due to some medications I was taking like Motrin and Indocin. The Motrin and Indocin were for the Gout attacks. He switched my Gout medication to Colchine. He also told me the blood pressure medicine I was talking, Lisinopril, can have an irreversible effect on my Creatinine levels. But since it was controlling my blood pressure and I was tolerant of it, he recommended I stay on it. I’m a very positive person by nature, I knew my attitude would be paramount in dealing with this “minor inconvenience” as I refer to it. I dealt with cancer previously, so I had a reference point. In my opinion, attitude is 80 percent of dealing with anything. I can control my attitude, so I can control CKD. If I wake up, it’s a good day, which means my good days are easily achievable. My good days aren’t tied to money or material things. One thing I do daily is listen to or read something “positive” the first 15 minutes of each day. A video, tape or whatever, it sets my whole day up for success. Listening to news the first thing in the morning wasn’t a positive way to start my day. Okay, I have CKD, what am I going to do about? My motto has always been in dealing with problems, acknowledge it, fix it and move on! I had to come up with a CKD (SIP) Self Improvement Plan. The first thing I did was to read up on it and find out exactly what CKD means and what my options were. At the end of the day, the doctors wouldn’t solve this; it would have to be me because my health is my responsibility. I had to do whatever it would take to help my buddy, my kidney. I knew It couldn’t be cured but I could lessen the damage it was doing to my buddy. My high blood pressure was at the top of the list for controlling CKD. While I had it pretty much under control, I knew I had to be diligent to avoid any further concerns. Lifestyle changes such as losing weight, exercising, meditating and eating less salt helps lower your blood pressure. I never add salt to anything now and it doesn’t bother me. I came up with a plan that could work for me and I started going to the gym. I’m not someone who likes to be “on a diet” because that would imply that it would be temporary which in reality it isn’t, it would be for the rest of my life. I had what I call my 1=4 theory. Since I go to the gym, it controls my blood pressure, cholesterol, glucose level and weight. Since CKD doesn’t have outward symptoms, I had to get something as a constant reminder for me that I had CKD. I put a rubber band on my right wrist to remind me daily. In other words, the rubber band is my buddy. When I’m eating or wherever I’m doing, it’s a constant reminder. Anything I eat, I see and pull the rubber band. I’ll ask myself, is this good for my buddy, my kidney? Maybe I’ll only eat half or none at all. Being Captain Dee-Fense gives me the platform to share my story, my journey with so many people. It took me awhile, but I finally found my Life Purpose; to help, motivate and inspire people whenever possible, thereby giving my life a sense of fulfillment and happiness. I attend several charity events a year, the National Kidney Foundation Greater Baltimore Kidney Walk, Relay for Life, Mothers Against Drunk Drivers, Lupus, Autism and many more. I visit people who are in the cancer unit at Johns Hopkins Medicine and I volunteer at seven senior citizens centers. My goal is to help put a face on CKD and help to Inspire and motivate people to take control of their health and make life-long changes. I wondered why somebody didn’t do something. Then I realized, I am somebody! Make an impact – Won’t YOU be a beacon of LIGHT & HOPE for those who suffer with kidney disease? Your donation will have a huge IMPACT in our community. DONATE TODAY – tomorrow is the final day of 2018 – YOUR best gift prior to year-end will make you a hero! Making a difference can happen in several ways! To learn more about how to become a living donor visit https://www.kidney.org/atoz/content/living-donation, you can give the gift of life to someone like Clark! 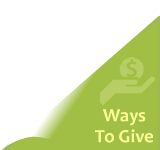 DONATE TODAY – there are only three days left to make your best gift prior to year-end! Drive for Dialysis – A Way to Support! This holiday season, host an NKF Drive for Dialysis at your office. Help assemble care packages for dialysis patients in the community where you live and work to brighten their spirits and make the long hours of treatment a little more bearable. 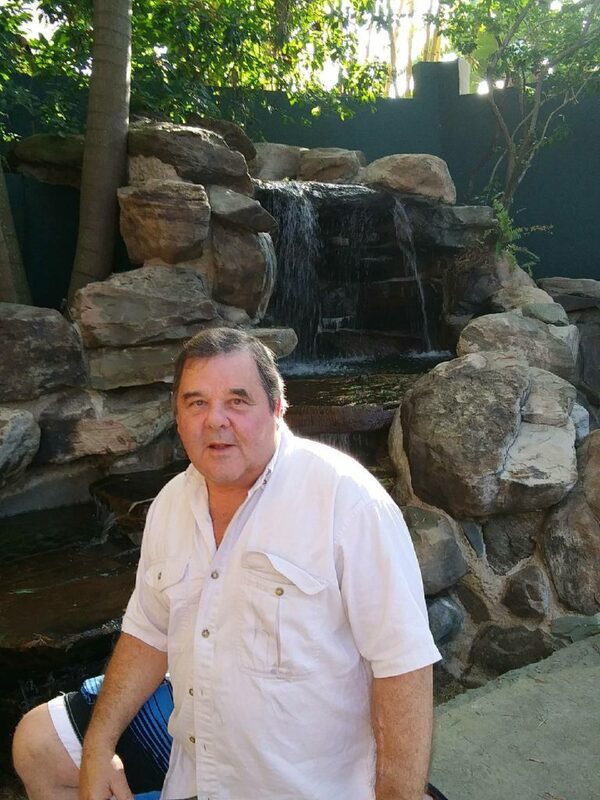 Michael Ferracci was placed on Dialysis in 2004 after being sick for many years. Like some men, he admits to not taking the best care of himself but started to get worried after much weight loss and not feeling well. It got to the point where he could not complete his bread route because of swelling in his legs. He decided to get checked out and discovered after testing, that he was in renal failure. Michael started hemodialysis, which is where he and Kristy first met. Kristy was working as a patient care tech at the unit where Michael was receiving treatments. In 2006, Michael proposed to Kristy and she decided she’d really like to keep him around a while longer. She was tested at the beginning of 2007 to see if she could donate a kidney to Michael. They were elated to find out that she was a match! Surgery was scheduled for March 8, 2007, which also happened to be World Kidney Day! They took this as a good sign. On March 8, 2018, they celebrated 11 years since the transplant, and are both doing very well. Kristy told Michael after the surgery that his life was going to change. That this was his chance to do something different, he had been given the gift of life, so she urged him to make some changes. And boy did he! Michael completed his degree in Social Work in 2011 and would like to go into Dialysis Social Work one day. Kristy still spends her days taking care of patients with kidney disease and can first hand relate to what they face each and every day. They are both very passionate about raising awareness and funds for kidney disease and have been avid supporters of the National Kidney Foundation. It takes a community – and you are a critical partner in our mission to change the landscape of kidney disease diagnosis, treatment and research. To accelerate the pace of our work locally in the year ahead, we need your support. Please make your generous year-end gift and help us to raise $200,000 for kidney patients before December 31st. Donate Now & Make a Difference! Adam has had diabetes since he was 12 years old. His kidneys were spilling protein into his urine and he was able to maintain function and keep a close eye on his condition until around 2014. Adam’s kidney function continued to decline, and he started dialysis in February of 2017 in Georgetown, DE. Right after starting dialysis, Adam started the process to be listed for a transplant and what a journey it has been for Adam. Adam needs a kidney and a pancreas transplant and is getting closer each day. 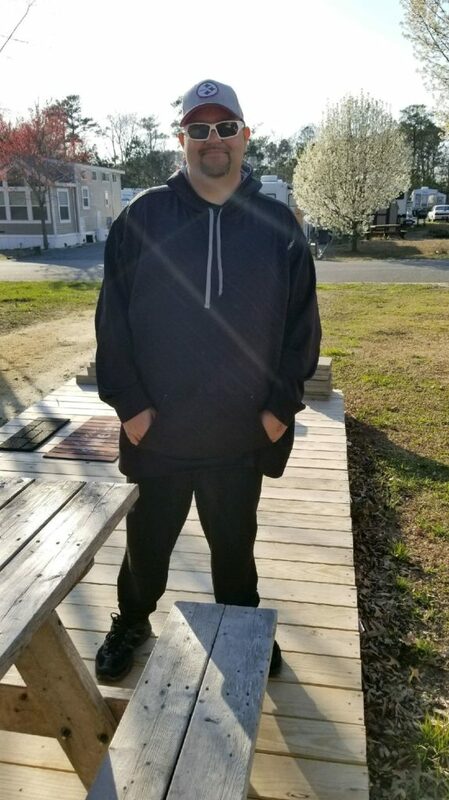 Adam has also managed to lose over 175 pounds since starting dialysis, which he knows will increase his chances of a successful surgery and for his new kidney and pancreas to work their best. Adam is an advocate for kidney patients and also is a volunteer with the National Kidney Foundation and the Southern Delaware Kidney Walk. Help us wish the best of luck to Adam in 2019 as he finishes up his testing and awaits that call to get his new kidney and pancreas! 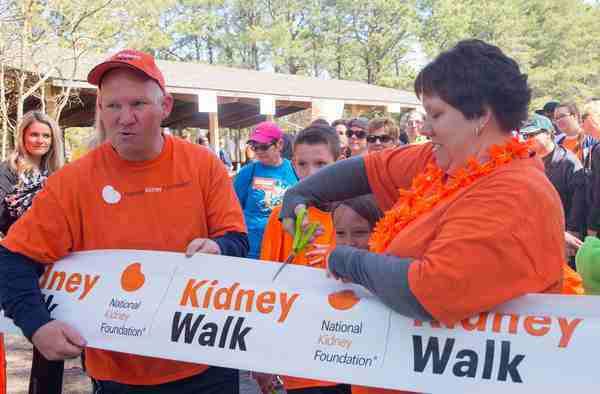 It takes a community to support patients with Chronic Kidney Disease. Together, we can raise $200,000 for kidney disease patients before December 31st. Please consider supporting us by donating your best gift by visiting http://bit.ly/NKFMDDEYE18 today!